As always we get together at 7.30am, take a group pic and get to doing what we love to do, shoot, share and learn. There is a small twist though, this time it’s not only PhotoWalk Bengaluru that would be picking the winners, you could submit your entries with Scott Kelby too (Details Here – Do read the rules) there are some awesome prizes up for grabs. The Worldwide Photowalk® proudly supports The Springs Of Hope Kenya Orphanage, an organization that feeds, houses, educates and empowers young orphans so that they can grow up to not just survive but succeed. (look up their website for more details) do consider making a donation or buying a T-shirt. Spread the word, bring as many as you can let’s make some new friends and have loads of fun while we Shoot, Share & Learn. 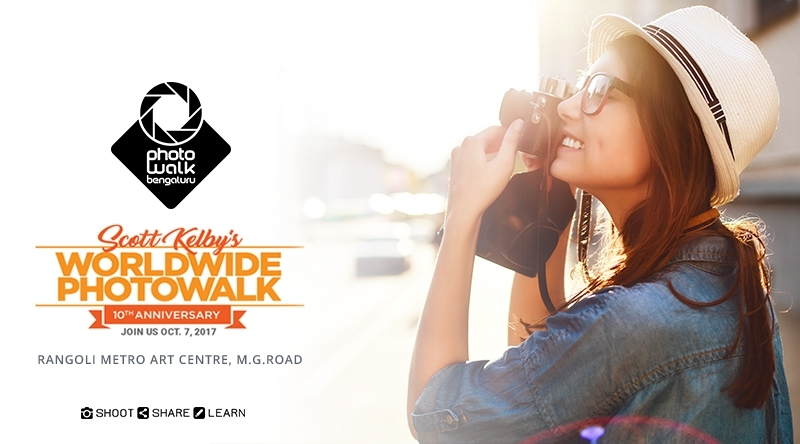 Only those who register at the official walk can submit one image on the Scott Kelby worldwide Photowalk website. The loading option opens on the day of the Photowalk. We will update the process once the walk is completed. But if wish to upload more images from the walk, you are always welcome to do on our regular Photowalk Bengaluru group album. NOTE: You need to register to participate in the Scott Kelby contest, limited entries. Selection of the winner of the Photowalk (Scott Kelby worldwide Photowalk competition). Every Photowalk hosted across the world has a Leader- the Individual / Group who gets it all organized and running. Over here it will be taken care by Team Photowalk Bengaluru on the official walk website. The chosen image will be then sent to Scott Kelby, who then selects the grand prize winner and honourable mentions. Necessary Gear: Camera, any lens and full of passion. Event Fee: It’s a FREE event.